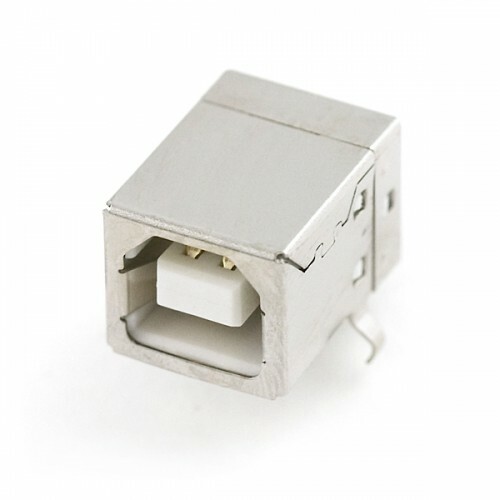 Purchase online USB Female Type B Connector in India at low cost from DNA Technology, Nashik. The 4 connection pins have 0.1" spacing allowing it to be inserted into development boards and perf boards with mild modification. You can either drill two 80 mil holes for the support posts, or cut them off completely.This USB connector can also be found in Printers USB port.